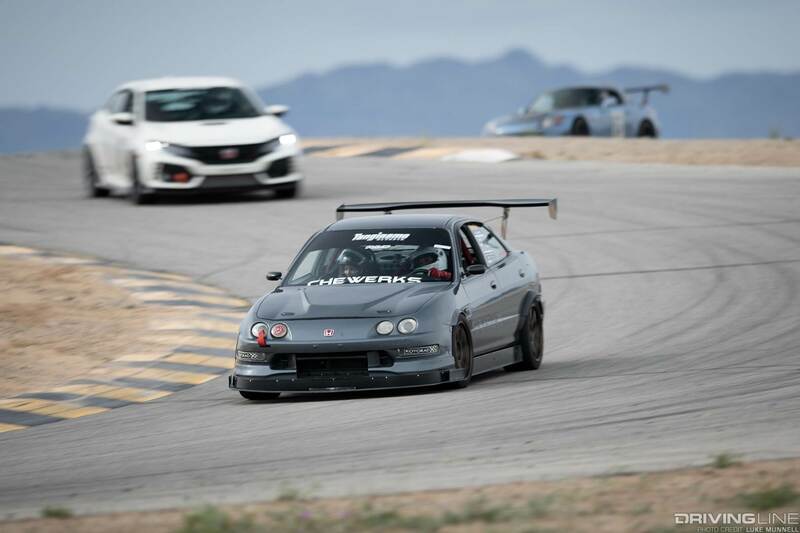 As we’re sure most of you reading this know all too well, VTEC Club is no rookie organization when it comes to supplying California’s (and beyond) Honda heads with just about everything they crave in a weekend with their cars and bros at the track. 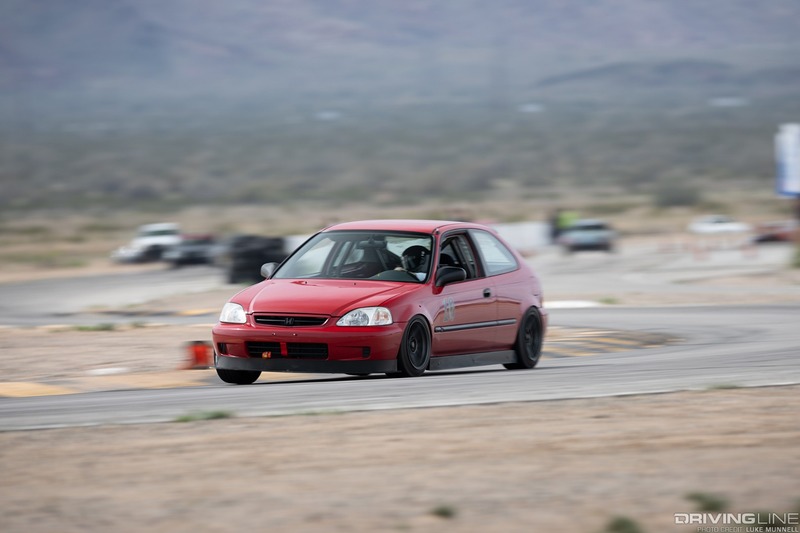 Now officially in their seventh year, VTEC Club has brought the best in time-attack competition to the Honda community, and the community has thus far responded by giving its best right back. 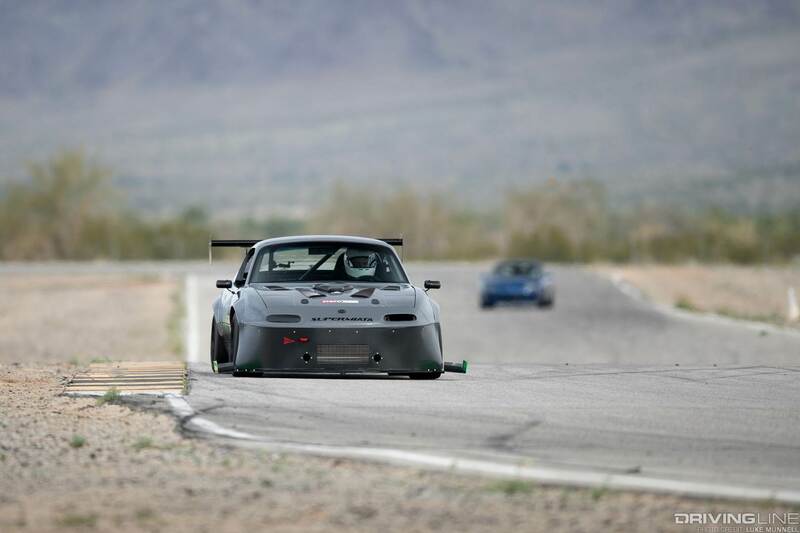 As of the close to their first-round event for 2019, the only thing that seems to have changed is that each side is prepared to give a lot more than we might have expected. 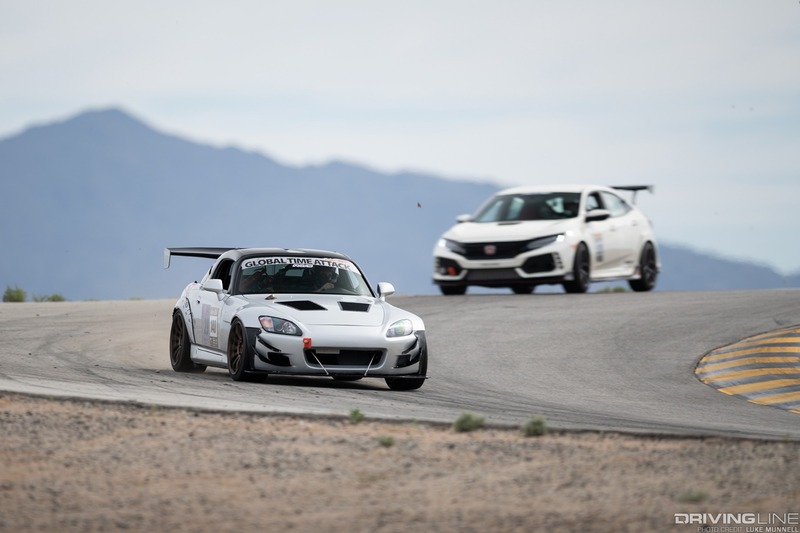 Comprising a sold-out crowd of over 140 Honda-powered vehicles and drivers, VTEC Clubbers stormed Chuckwalla Valley Raceway in the heart of the California desert, traveling from L.A., San Diego, Arizona, Las Vegas and even the Bay Area to shed the winter chill for another hotly awaited motorsports season. We were left with no doubts as to the fact that the movement isn’t just growing, but is growing faster and more competitive than ever. Here’s why. 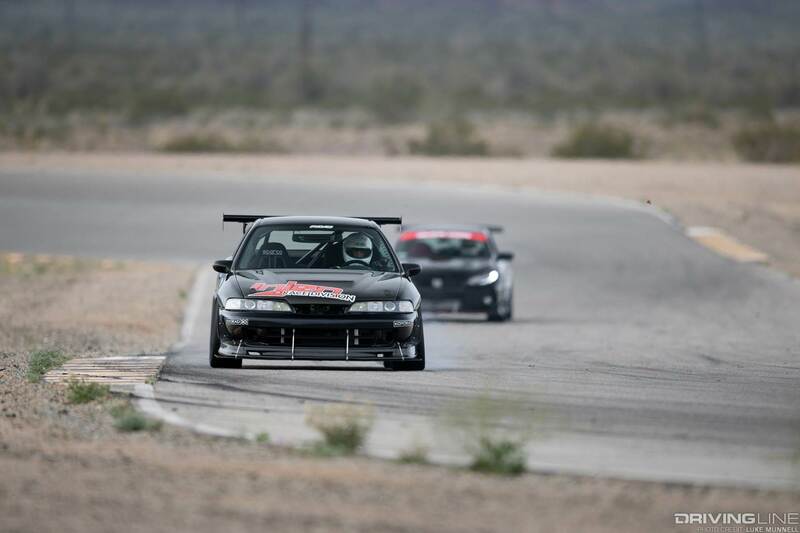 When you distill it down to its purest form, VTEC Club weekends are all about driving your car on the track. 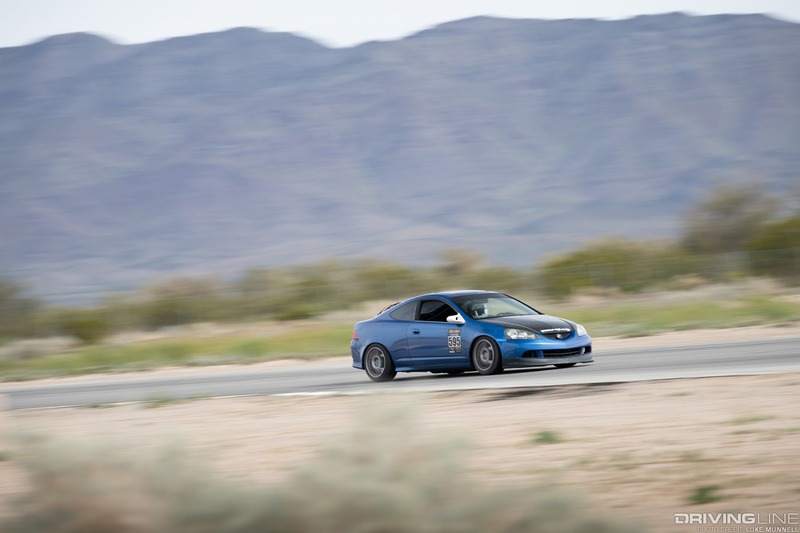 No speed limits or law enforcement to look out for, no pesky potholes or shoddy driving surfaces (especially not on Chuckwalla’s buttery smooth surface! 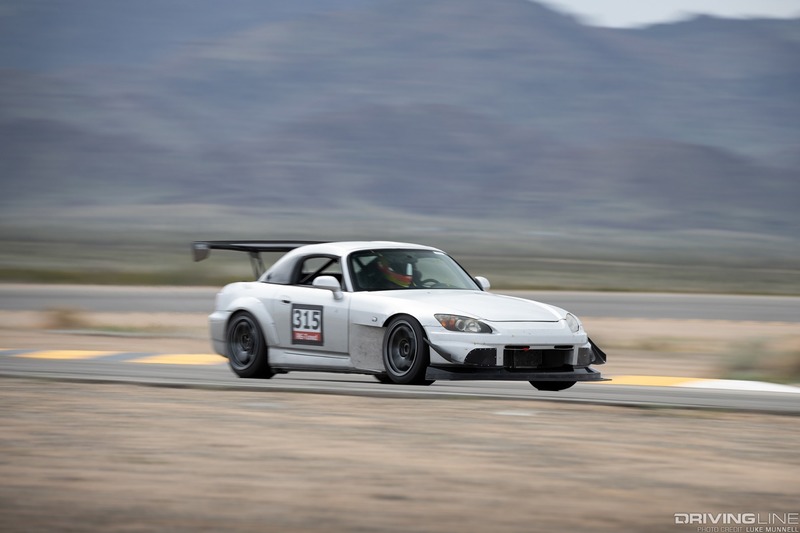 ), and nothing aside from lots of forgiving dirt to worry about when you occasionally do surpass the limits of your car...and skill. 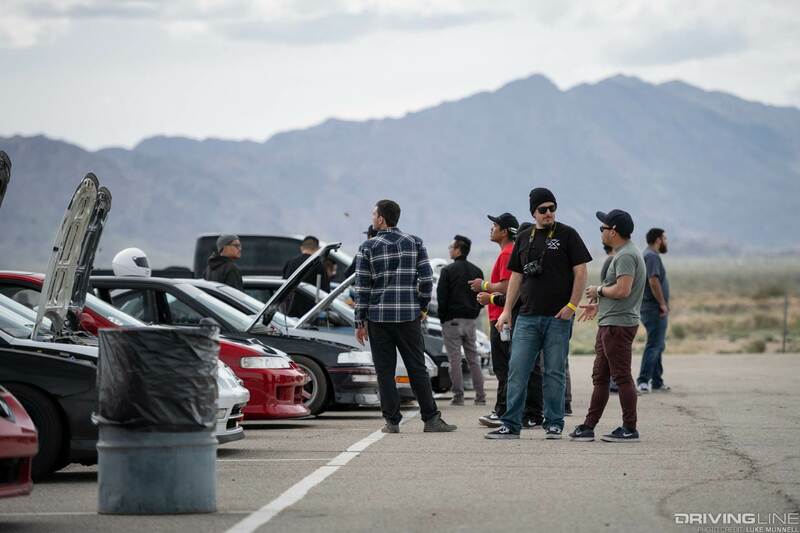 Add to that plenty of pit space and lots of like-minded friends happy to lend tools or experience (or BBQ, or beers after the driving), and it’s easy to see why one weekend is usually all it takes to keep you coming back as much as possible. 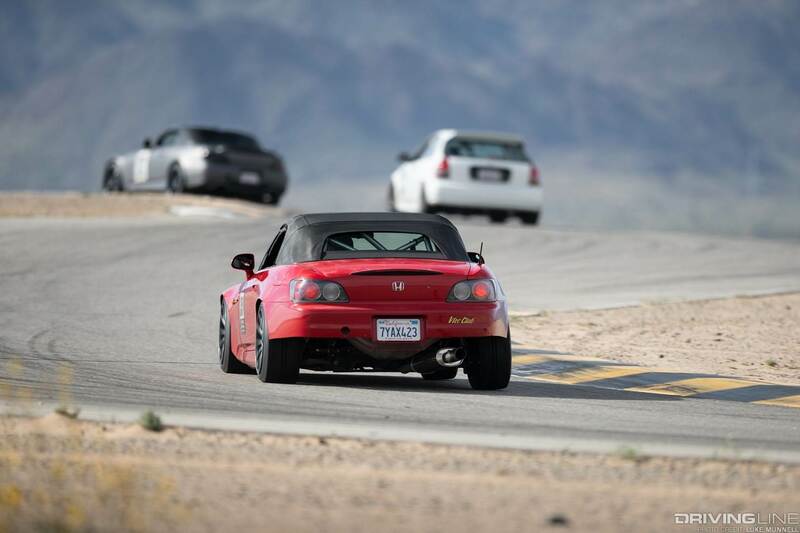 I’m just going to say it: California has more great race tracks open to enthusiasts than anywhere in the U.S—maybe the world. 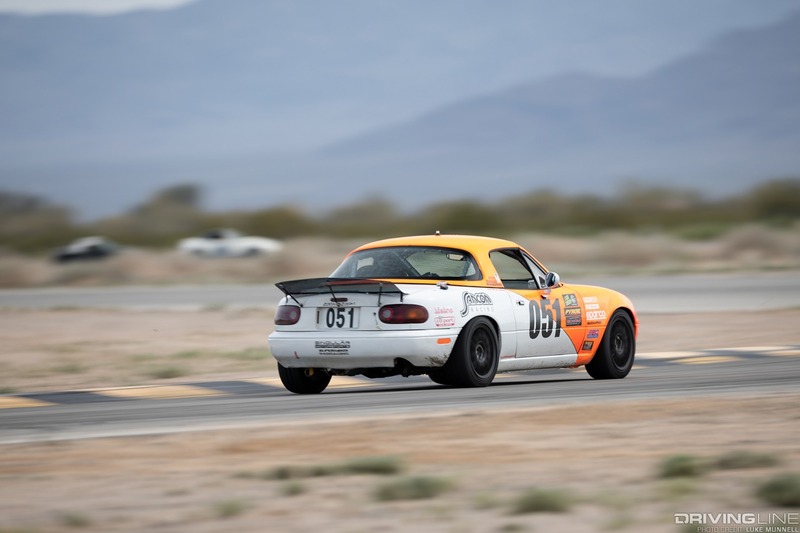 Chuckwalla is fast becoming a group favorite, but remaining rounds this season will take VTEC Clubbers to Buttonwillow Raceway, back to Chuckwalla, out to Willow Springs’ “Big Willow” and “Streets of Willow” tracks—for day and night events, running clockwise and counter-clockwise. 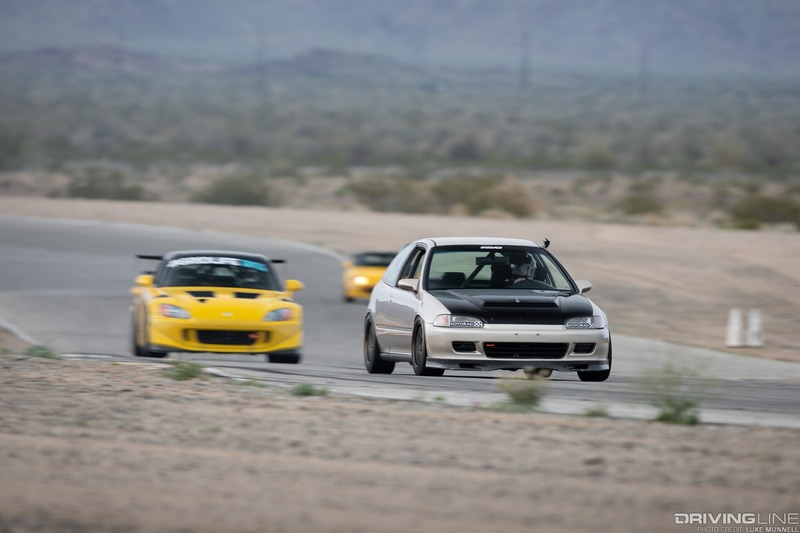 Absent are NorCal tracks like Laguna Seca, Sonoma or Thunderhill, but plenty of NorCal-based VTEC Clubbers who will make it out to the annual “NorCal vs. SoCal” round at Buttonwillow can tell you how to shred some tarmac up there in their own group-organized events. 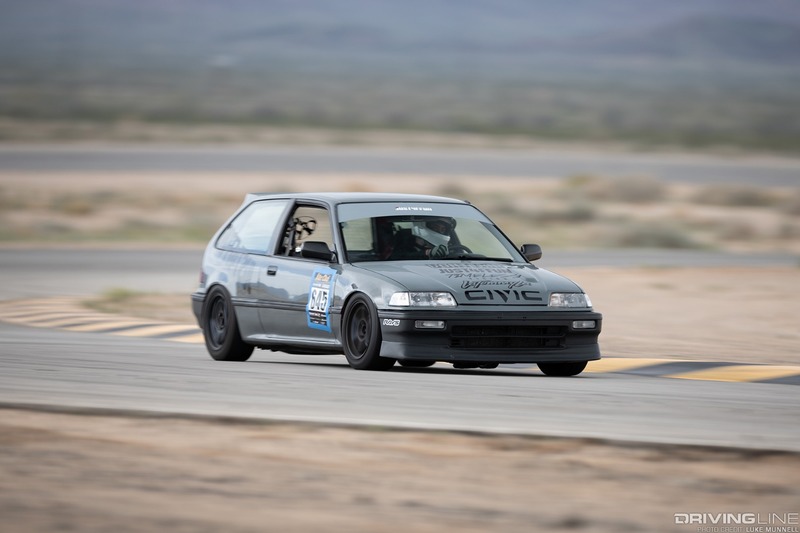 There are run groups and instructors on hand at each VTEC Club event to get just about every willing beginner up to speed, and competition groups that accommodate Honda-powered vehicles in just about any state of tune. 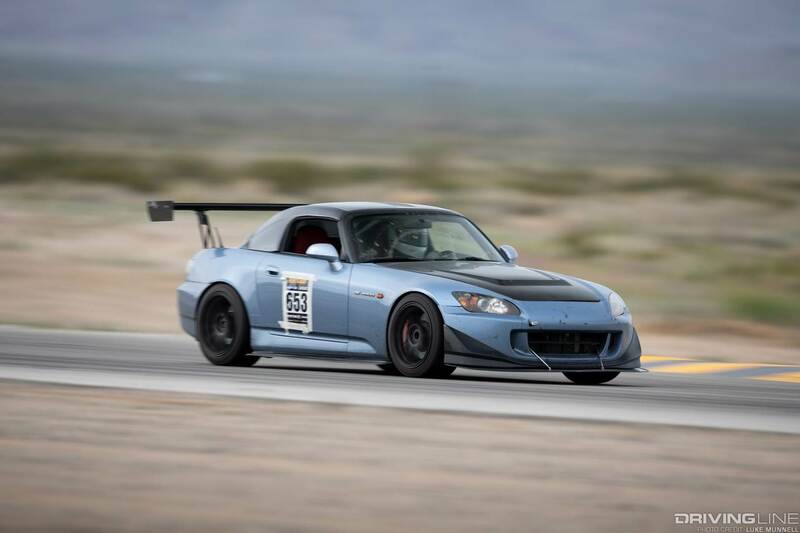 There’s also the VTEC Club Competitors Facebook community to provide plenty of information and discussion, as well as hours of entertainment usually at the expense of the more experienced members (memebers?) 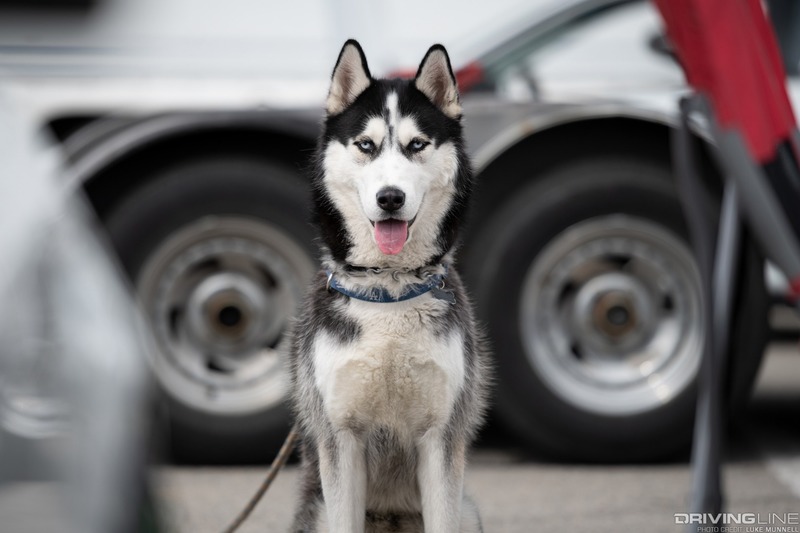 of the group. 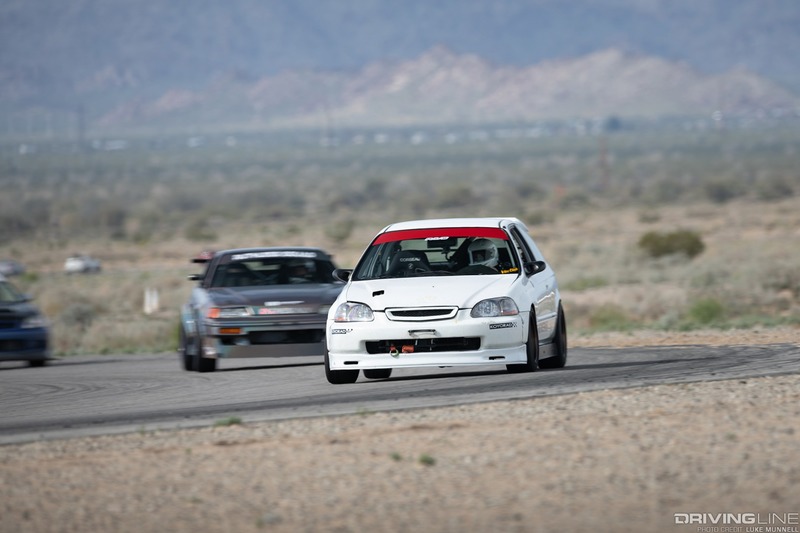 Don’t let VTEC Club’s official status of being a time-attack competition series deter you. 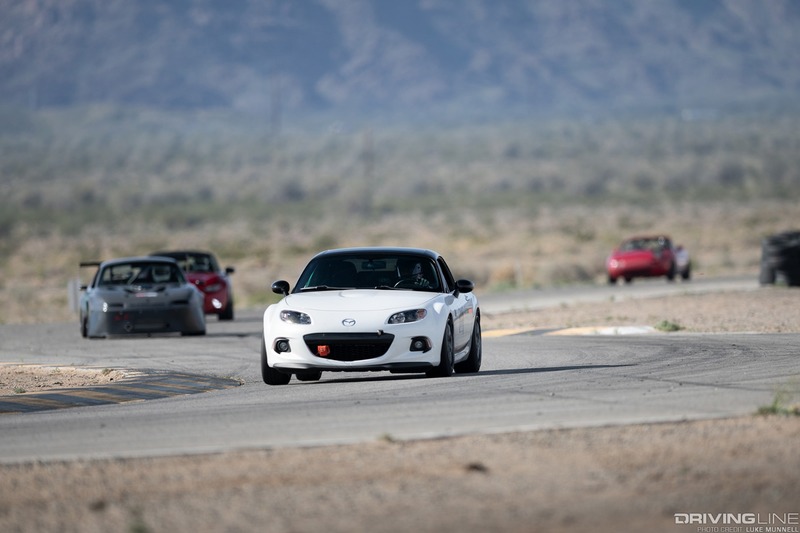 It's serious competition, but it’s also surprisingly welcoming to beginners. Come prepared and willing to learn, and you’ll fit right in. 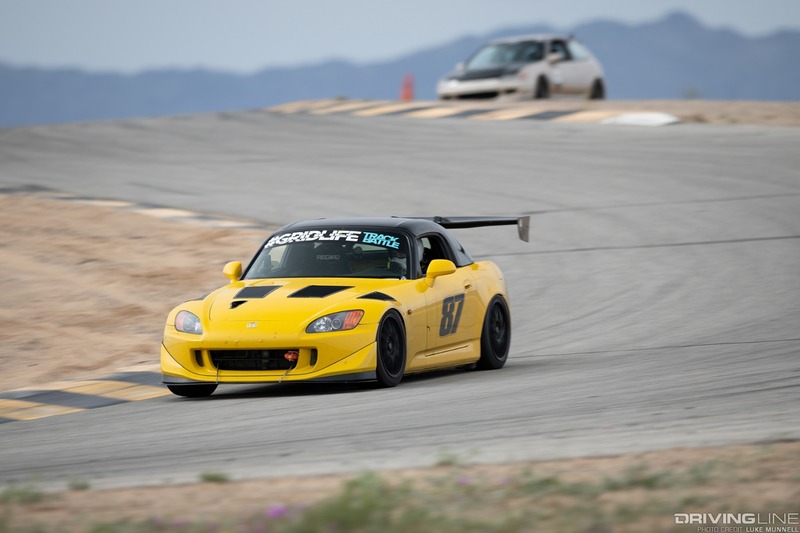 There’s no shortage of track-day organizations and their respective racing or time-attack competition series in California and abroad. 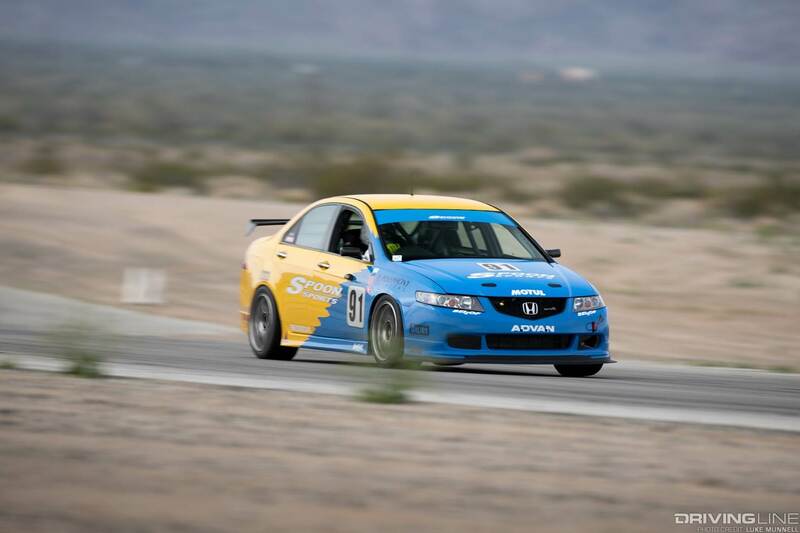 But what we’ve seen VTEC Club do better than most is structure group rules and points in a way that attracts some of the fiercest sportsman competitors, leads to very close competition in each class and motivates drivers to continually improve their skills and cars. 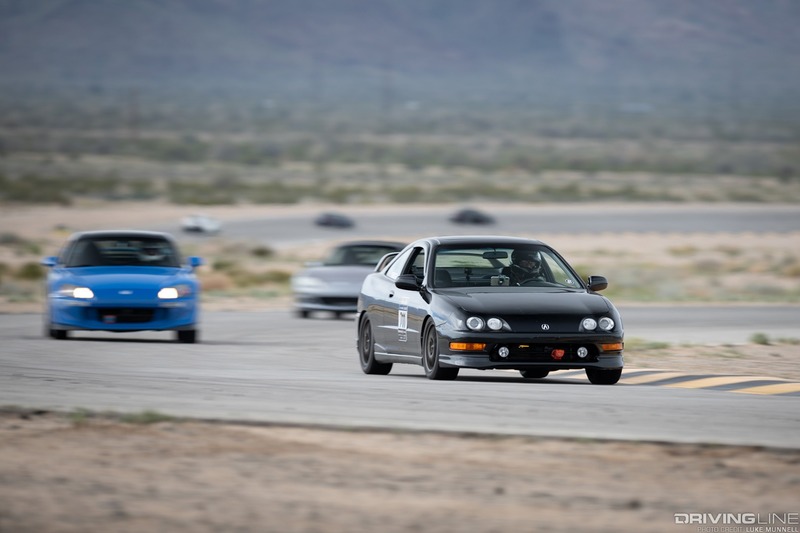 Whether you’re testing the limits of your stock Honda daily driver, just beginning to take your project car to the track or are gunning for wins in a highly tuned race machine, VTEC Club will provide the challenge you’ve been looking for. 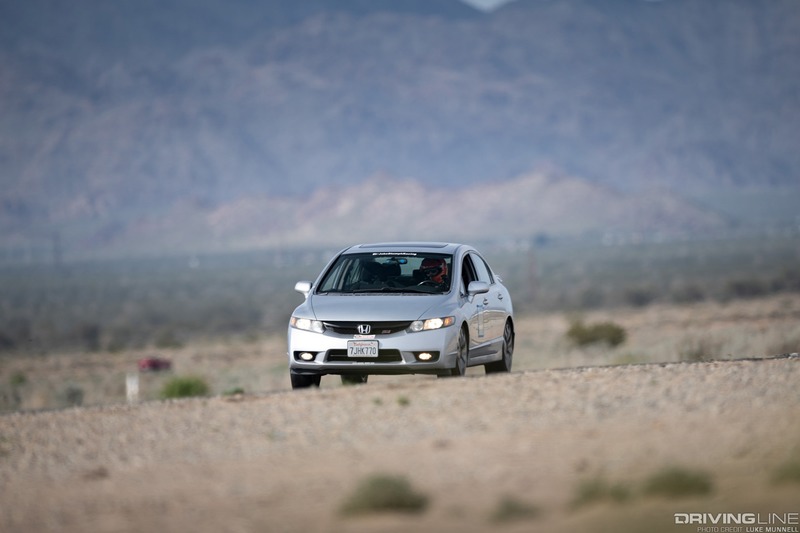 Let’s address something directly which we’ve touched on thus far: VTEC Club offers something for drivers of just about every Honda-powered machine conceivable. 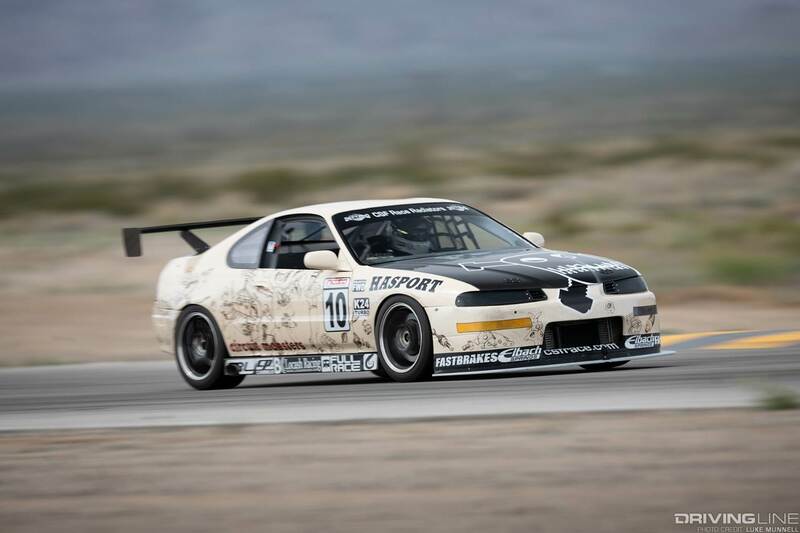 While there were no NSXs or VTEC-powered Miatas this time around (as there have been in the past), this first-round event at Chuckwalla saw the participation of everything from a turbocharged K24 VTEC-powered Noble M400 to turbo K24 VTEC Honda Prelude, a supercharged K20-swapped DC2 Integra Type R, a historied JDM Spoon Sports Accord Euro R race machine (more on that coming soon! 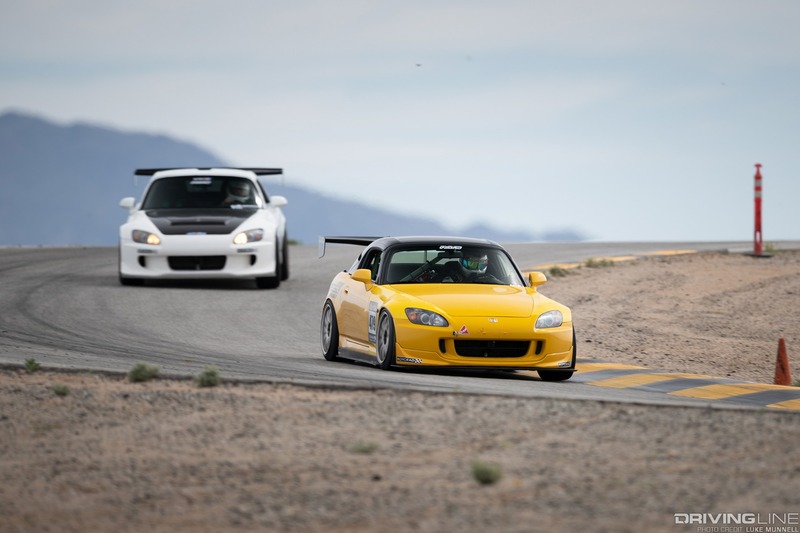 ), two Acura TSXs, four FK8 Civic Type Rs, a grip of S2000s with various Honda powerplants, one N/A 1.5L Honda Fit and dozens upon dozens of your favorite EG, EK, EF, FG, FA, DA, DC and more FWD Hondas—in two-, three- and four-door trim. 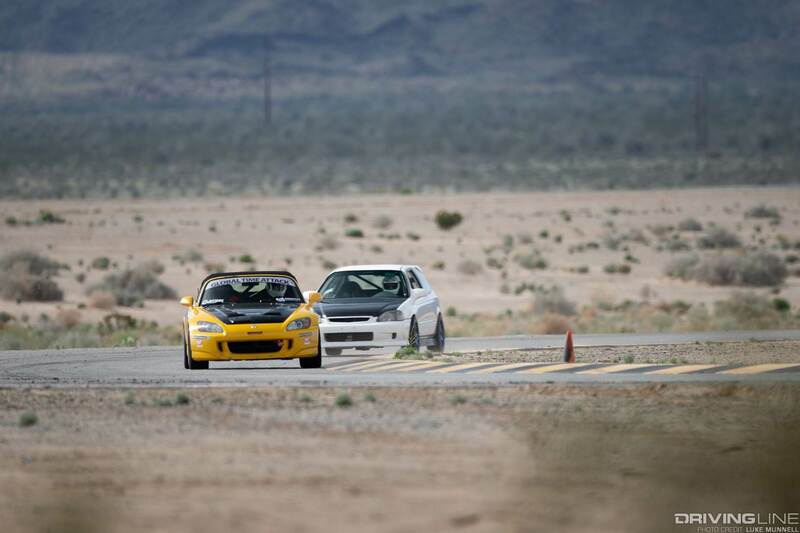 Not sure if there’s a class for your mom’s lightly modified, non-VTEC, hand-me-down ‘04 Civic Sedan? 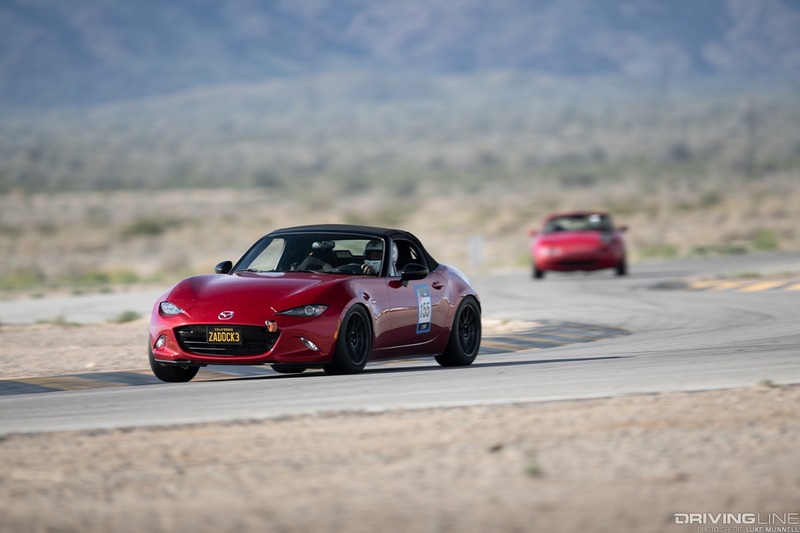 Betting your bud’s J30A-swapped Mazda Roadster won’t be eligible to compete? Well, you’re both in luck. 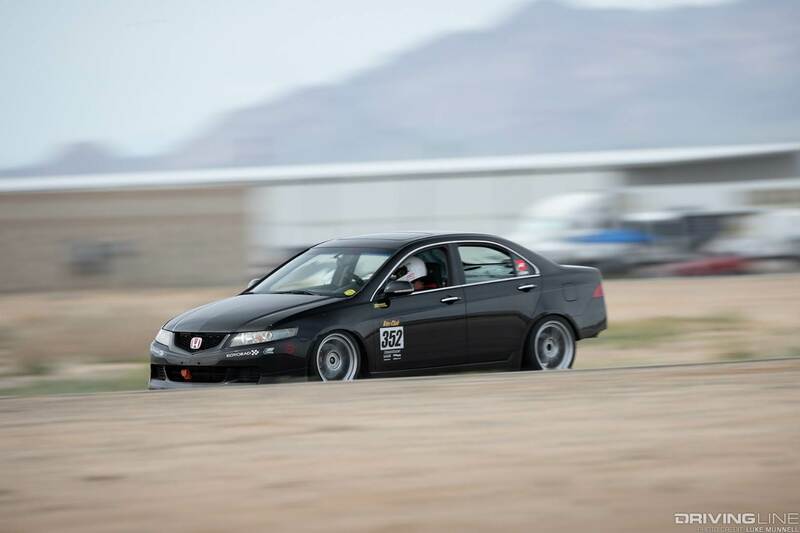 Fun fact: VTEC Club was born out of the Extreme SPEED Track Events organization, which for over a decade has hosted competition-free track events for drivers of all makes and models. 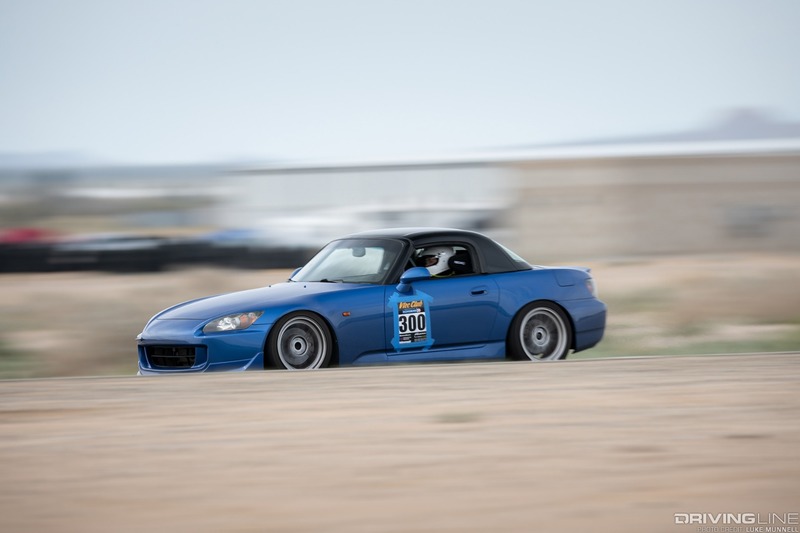 They still sanction VTEC Club and help manage other competition series like Roadster Cup (like VTEC Club, but for Mazda Miatas), American Muscle Cup and others. 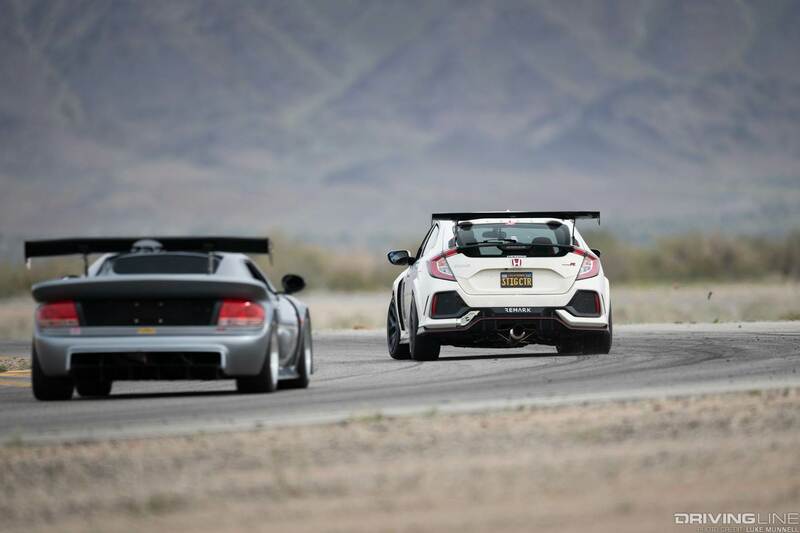 So, on a given VTEC Club weekend, there’s a good chance you’ll be sharing the track with plenty of fellow track brothers from different mothers. 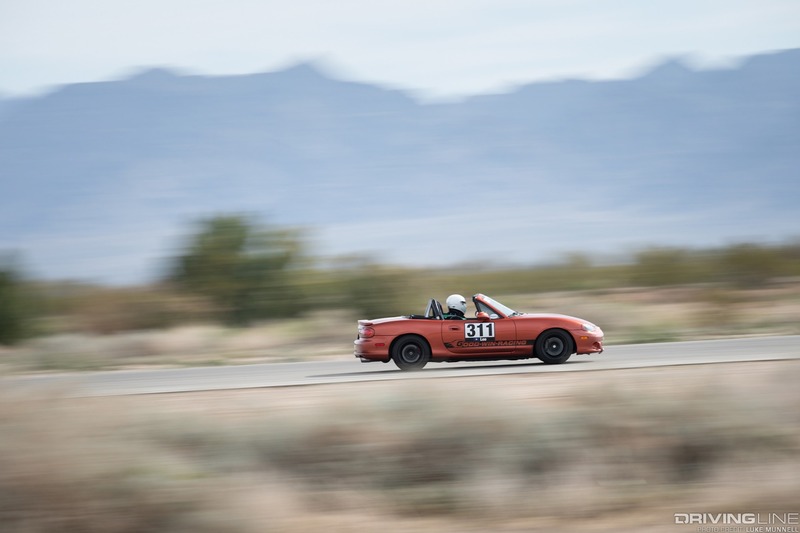 This time around it was Roadster Cup that filled a couple run groups of the day, and even though this is an article about Hondas, we’d be poor sports if we didn’t show some of our favorite roadsters of the day in action. OK, fame and fortune might be a bit of a stretch. 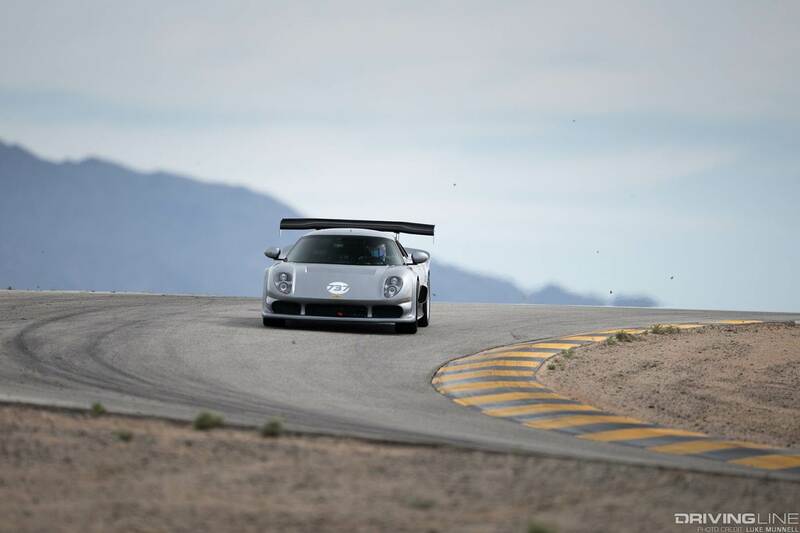 But being a time-attack competition series, VTEC Club’s highest place finishers do enjoy their share of media coverage, like Kam Urquhart (that turbo K24 Noble M400), Randy Chen (no. 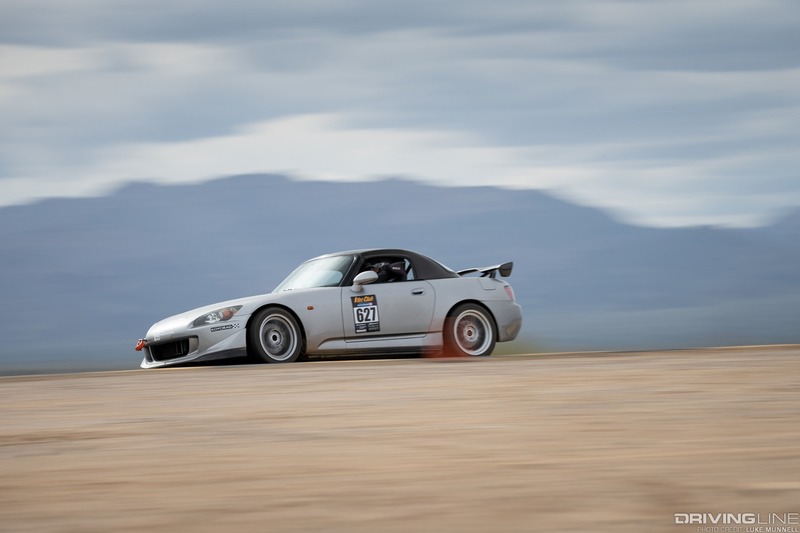 315 turbo S2000), Sean Mulyanto (no. 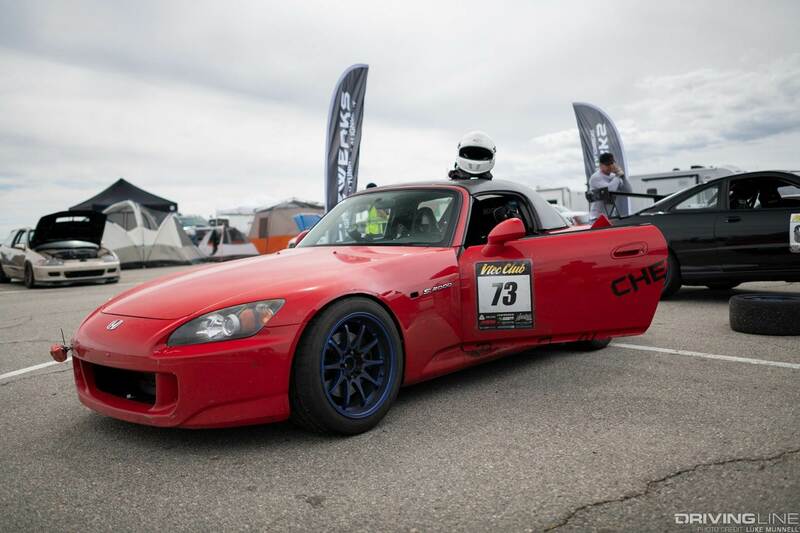 73 ITB’d S2000), Robert Choo (no. 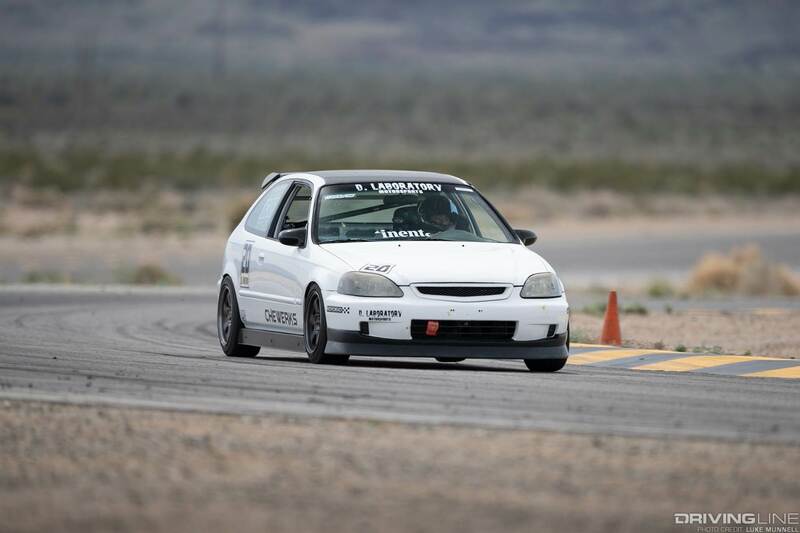 20 B18C-swapped EK Civic hatch) and Javier Mora (no. 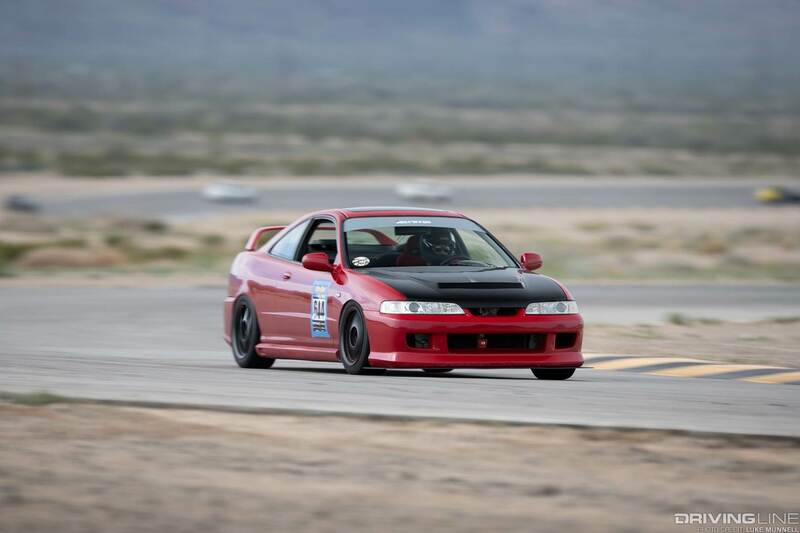 156 DC2 Integra) do here, for nabbing first place in Group A, A2, N and N2 competition, respectively. 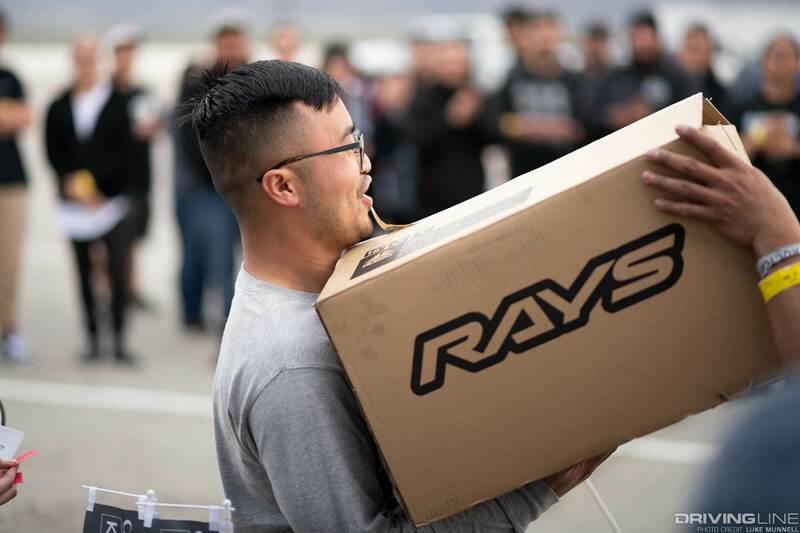 They also walked off with their share of prizes from industry brands, as did a handful of lucky raffle contestants—one even took home a brand new set of Gram Lights 57CRs! As for glory, that’s a given. 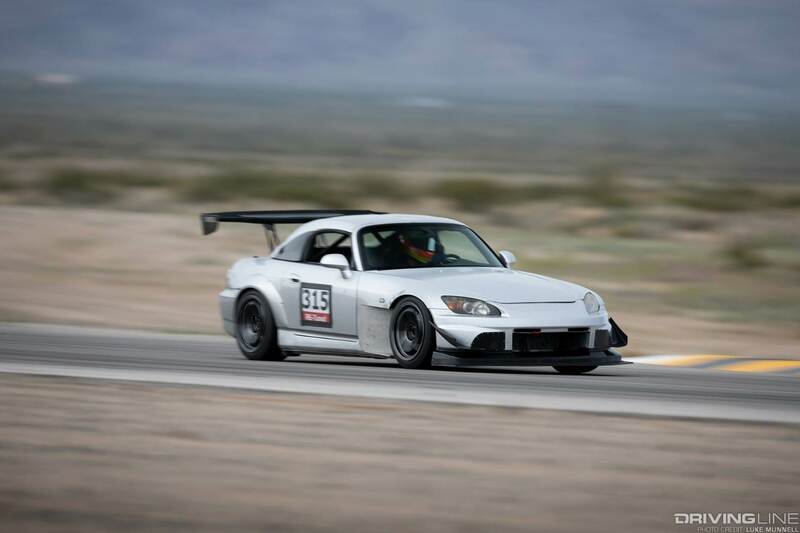 Any time you can drive your car at full tilt with your friends, be encouraged to drive even faster and enjoy a weekend at a racetrack far away from the responsibilities of daily life (and maybe even snag a free set of wheels! ), well that’s a pretty glorious life, isn’t it? 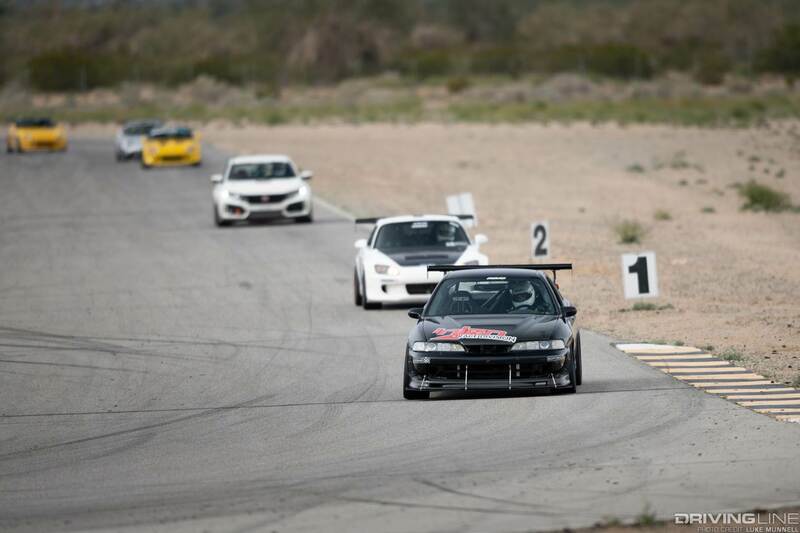 VTEC Clubbers enjoy a short break before their next round at Streets of Willow on May 25, with the triumphant return of “Touge Stage” battles in addition to the usual time-attack competition. 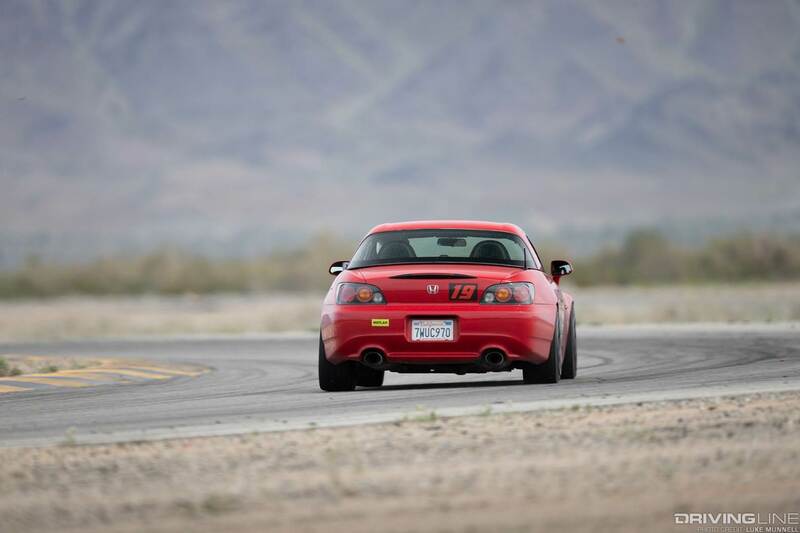 Between now and then will be a special driving clinic at Big Willow for newbies and those looking to hone their knowledge and skills with some instruction by VTEC Club and other track-driving vets. If you’re thinking of joining the fray, this is the best way to do it. 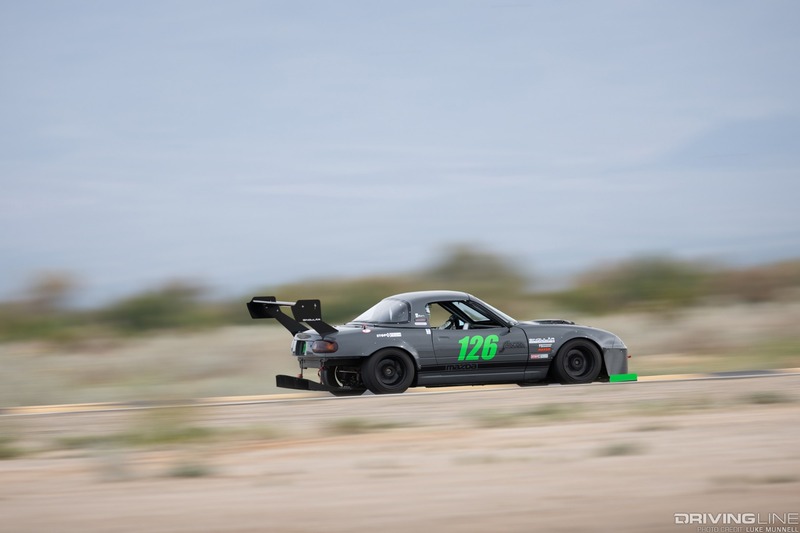 From there, it’s onto that “NorCal vs. SoCal” challenge at Buttonwillow on July 7, back at Streets of Willow for the night/counter-clockwise event on August 31, out to CVR on October 20, to Big Willow on November 30 for the annual Autumn Speed Festival and up to Buttonwillow for an all-new event: the “Open Challenge,” where VTEC Clubbers invite drivers of all makes/models fitting their rulesets to battle the area’s best Honda machines. 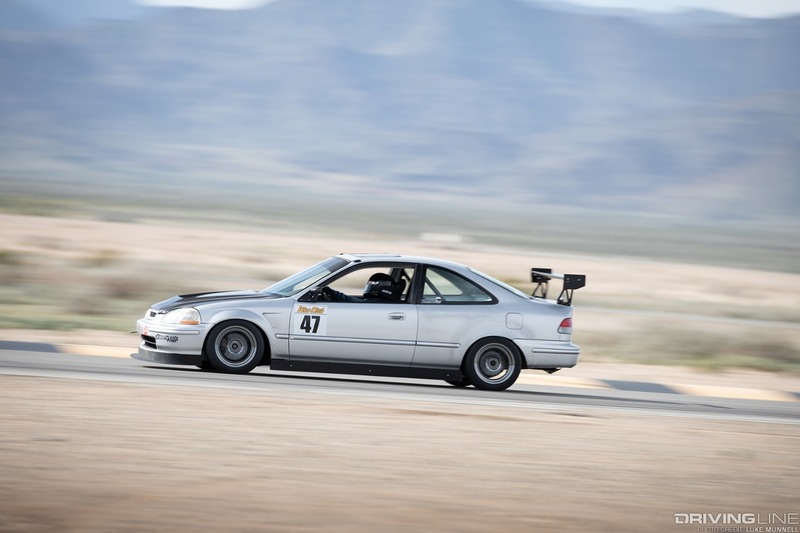 Search “VTEC Club Competitors” on Facebook to get involved. 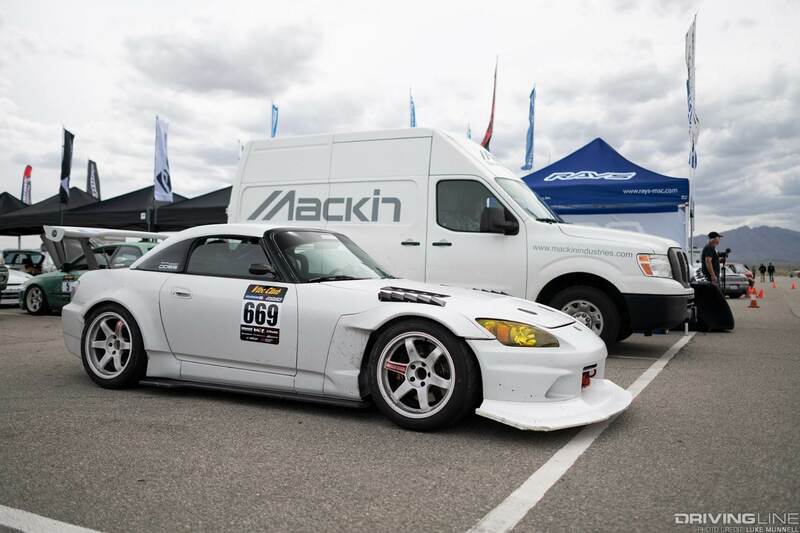 See you at the track! 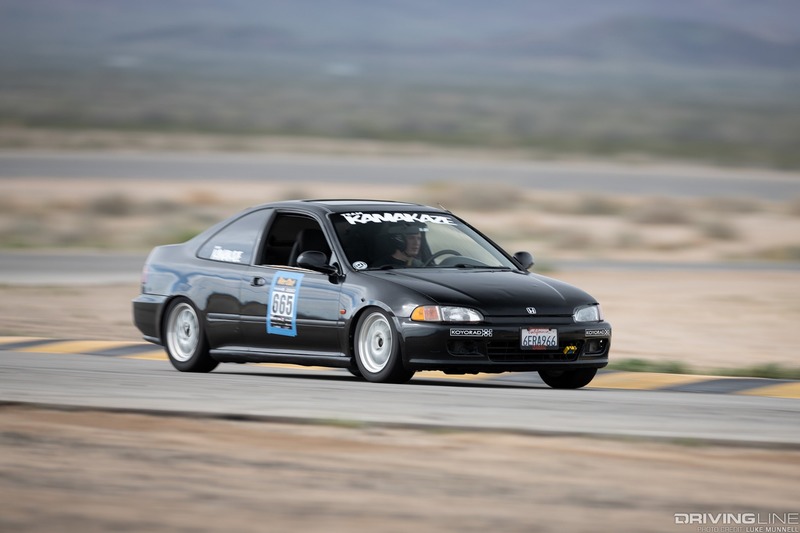 If you come out to VTEC Club, you might see this timeless '93 Honda Civic CX.